Day 01 : Arrival at Srinagar. 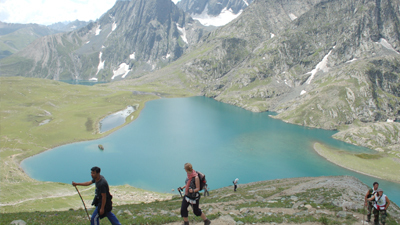 On arrival at Srinagar, you shall be met by our representative at the airport and will be transferred to the houseboat. Overnight stay at the houseboat. Today, we shall leave for Srinagar early in the morning. 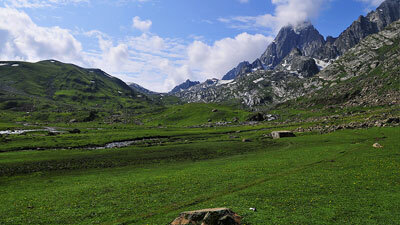 Driving along the picturesque Sind river, we shall arrive at Sonamarg. 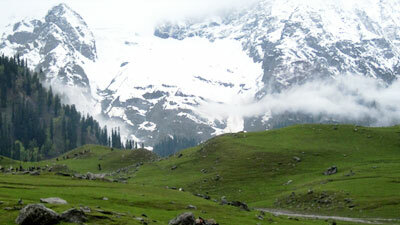 After resting for some time, we will take a walk to Thajiwas glacier. Overnight stay in the hotel in Sonamarg. Day 06 : Gadsar – Gangabal Lake 19 Kms. Day 07 : Stay at Gangabal. Today, we shall be trekking to Arin From Poshpatri. 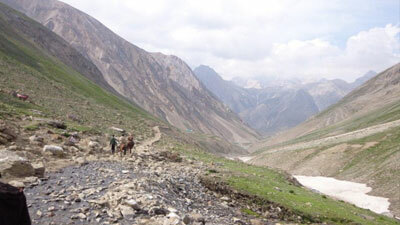 The trekking trail will be along the stream of Arin and then a gradual descend. On the same day, we shall be taking two hours drive back to Srinagar and to our houseboat. Overnight stay in the houseboat in Srinagar. Our representative shall assist you to the airport. If incase some time in left, we shall go sightseeing in Srinagar.